Anointing. Anointing. You will live in My anointing. You will take My Holy Spirit and My fire to Kenya. I will open the windows of heaven. I will pour out My Spirit and My fire and My glory. My will in heaven will be done in Kenya. Kenya. I will rain down My Holy Spirit in Kenya. I will rain down fire from heaven in Kenya. Kenya. I will use you to revive. I will use you to impart. I will use you to deliver. I will use you to do miracles. I will use you to heal. I will use you to impart My Holy Spirit and My fire. You willmpart My Holy Spirit and you will impart My fire, and you will impart My healing and you will impart deliverance, and you will impart miracles and I will give you My anointing and you will carry My glory, and you will carry signs and wonders, and you will live in My glory, and you will be My prophet, My voice in the earth, and you will live in My Spirit and you will live in My holy power, I will give you everything you ask Me for, and you will live in righteousness. I will give you grace and glory. I Am your shield and your destiny. I have ordered your destiny and I have commanded My will to be done in you as it is in heaven. In Mombasa, everyone that I imparted the HOLY SPIRIT to received it and spoke in tongues for the first time, and GOD moved greatly in this venue. From there My appointed Bishop Oliver Ogusegere and I traveled to Nakuru, a seventeen hour grueling trip. Half way to Nairobi the car broke down in the middle of nowhere. A radiator hose had broken and we were stranded on the side of the road without tools, help or nearby town. Oliver poured my bottled water into the overheated car and it restarted, but water was pouring out the broken hose. As I prayed and thought of what I might have brought with me that might help, I looked for surgical tape, but could not find it. Then I thought of GUM! I stuffed gum into the one end of the broken hose and the leak stopped. That gum and bottled water took us MANY HOURS all the way to Nakuru. God also helped us to redeem the lost time by propelling us forward supernaturally on the road many miles ahead of where we were, two times. I had read about GOD doing this, and we experienced it twice that day, but it never happened again. In Nairobi we had a flat tire. Fortunately a Gas station was nearby, and although the tire could not be fixed, we were able to purchase two new front tires that would be badly needed for the perilous roads ahead. In Nakuru, the power of the HOLY SPIRIT was so great! 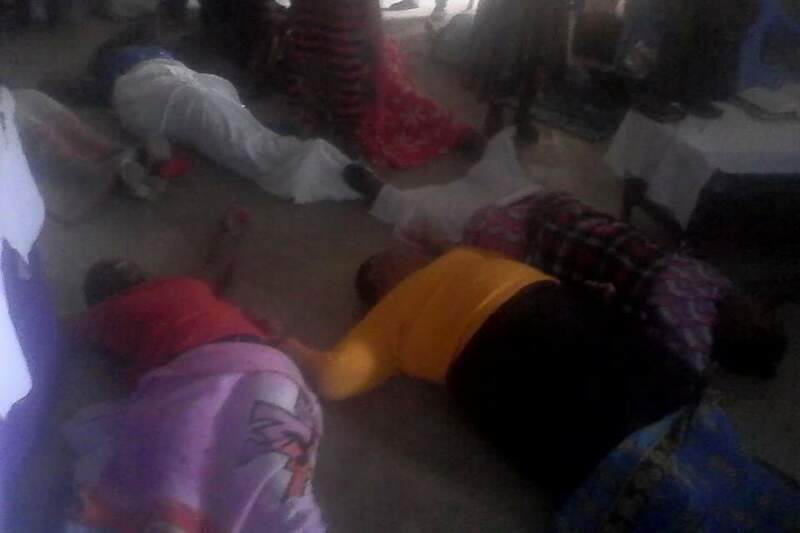 The floor was covered with those who were slain in the SPIRIT when I imparted the fire to them. All of them received the Holy SPIRIT and spoke in tongues that came to receive. The next venue was in Kisii where the fire fell on the entire congregation as I called the fire of the HOLY GHOST down from heaven. People were healed, delivered, filled with the HOLY SPIRIT and spoke in tongues for the first time. They were shaking and shouting, and many were slain in the SPIRIT in their chairs, in the aisle, and the front of the church. 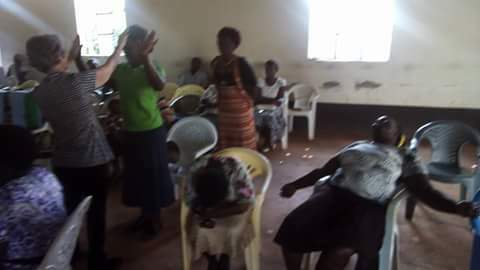 Revival fires are still burning in Kenya where we were, and the churches are growing. In Magori the power of the HOLY SPIRIT was present as I imparted the Holy Spirit and fire. People were filled with the Holy Spirit and tongues through impartation and were slain in the SPIRIT. I asked some to step outside where there was grass, and they fell under the power of the HOLY SPIRIT there. The floors of every venue were either dirt, rock, and rough cement. Later in our mission I wanted chairs to be put behind every person I was imparting to so they would not be on these floors. Many of the venues had never seen a move of GOD like this before. In every subsequent venue, Mbita, Kisumo, Mumias, Webuye, Kitale, Lwakhakha and Niarobi, there was a move of GOD as I imparted the HOLY SPIRIT, Fire, Healing, Deliverance, Holy Laughter/Joy and the Glory of GOD. Everyone who was imparted to received. Many were saved, filled with the Holy GHOST and fire, healed and delivered, and many slain in the Spirit wherever we went. I had imparted to Bishop Oliver and activated him to minister in the venues as well. God used us both for His glory, and he came up levels in this mission’s trip. 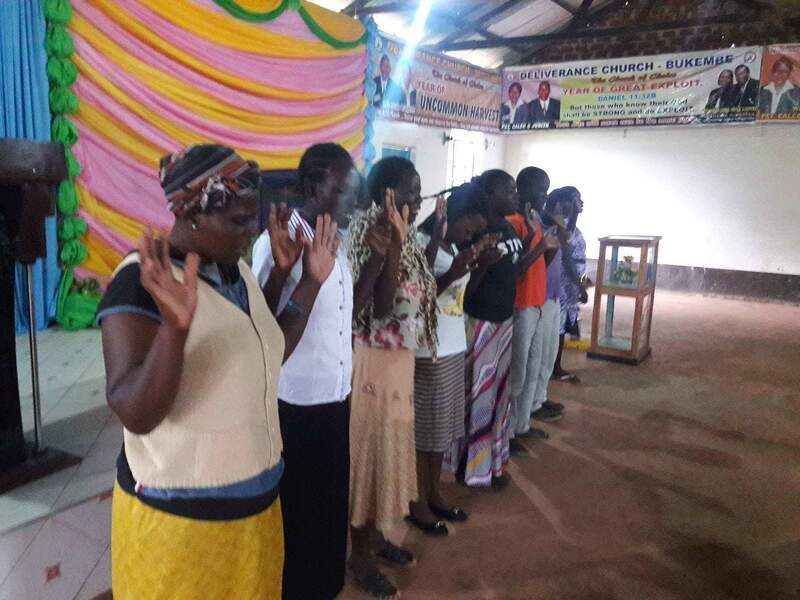 In Lwakhakah, which is on the border of Uganda, 15 pastors from Uganda came to the meeting. Ten of them instantly received the HOLY GHOST as I imparted it to them between the meetings. 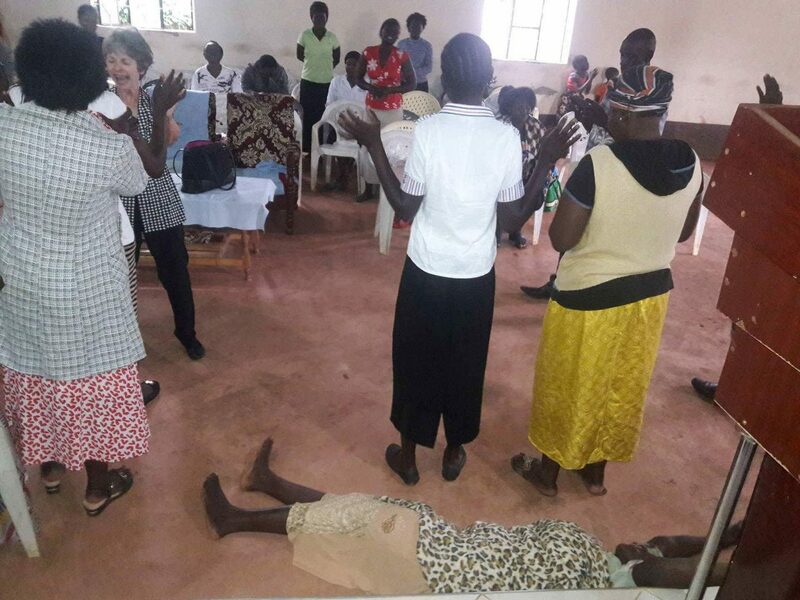 People were healed in the office and filled with the Holy Spirit and fire and healed in Kitale while I waited for the next meeting to start. One womnan followed me to my hotel room and asked for prayer. God delivered her in My room, she was slain in the SPIRIT and instantly healed. GLORY TO GOD! He confirmed His own WORD by speaking this audibly to me again and again, and also woke me up at 2 a.m. with His audible voice, telling me that He was sending me to Uganda, and I would impart there the very same things he spoke to me about Kenya. He said that he will pour out His Holy SPIRIT and fire in Uganda. I must obey, and I must go. I need supporters and partners to help me with the expenses of this Missionary Trip! I am preparing to return to Kenya in January, 2018, and we will cross the boarder to Uganda. It costs a lot to fly, for visas, to travel in the country to the various venues, to do car repairs and to have food and lodging for days on end. Please partner with me so that I can fulfill the great commission as directed by the LORD. God did everything He said He would do as I obeyed his voice and traveled alone to Kenya. He will do it again and again, for it is His will and purpose. It is by His SPIRIT. I am just a conduit, and a vessel that is willing to go where He sends me as I obey His voice. It is His kingdom, by His power and for HIS GLORY! God gives seed to the sower and bread for your food. For those who will support this work, you will have a three-fold blessing. God will bless your finances, for you cannot seed into His kingdom without Him opening up the windows of heaven and pouring out blessings upon you that you will not have room to contain, as you give. You will reap what you sow! A seed does not produce a seed, but a harvest! As you plant into the field of Kenya and Uganda, and you will have a portion of the harvest of everyone that we reach there. To partner with me, you may use the donation button on this website, and it will take you directly to paypal. You can send your donation through Western Union, money order or check to June Reinke, Prophetic Light International, 40403 Sunburst Drive, Dade City, Florida 33525. Your donations are tax-deductible. Please remember that your harvest will be according to the seed you sow. Please partner with Me so that I can GO TO THE NATIONS and impart, empower, and impact them for the KINGDOM OF GOD, as He uses me to expand His Kingdom on earth as it is in heaven. God bless you as you give. For those who partnered with Me to send Me to Kenya, I thank you. God thanks you, and the people of Kenya and Uganda thank you. The harvest was bountiful and your portion will be great! Welcome again. It was a blessing having you. Good and blessings that you obeyed the Lord. I wish I could help financially, but I can’t. But I pray that the Lord would cover you with His grace, protection and favor. Thank you for your obedience to Him. June, your prophetic words speak so deeply to me. I very often post them in my own group. What you are doing inspires me to do even more in my local area. Bless you. Be in agreement with me that Yahweh will provide seed to the sower! in the hands of Yahweh.